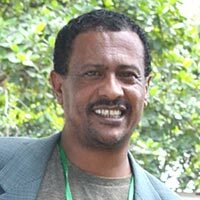 Shiferaw Feleke, from Ethiopia, is a Agricultural Economist. He has MSc in Agricultural Economics (2002) and a PhD (2006), both from the University of Florida, USA. Before his appointment, he was a Research Associate at the Center for Tobacco Grower Research, Agricultural Policy Analysis Center, University of Tennessee (2007- 2013). He also worked as Research Associate at the Dairy Systems Management, University of Florida (2006- 2007). He was also Research Assistant at the Food and Resource Economics Department, University of Florida (2000- 2006).